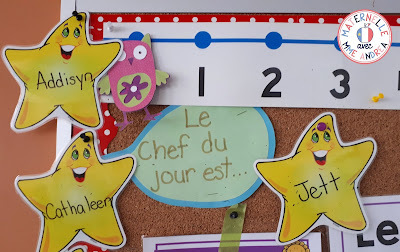 Maternelle avec Mme Andrea: Que fait le chef du jour? Que fait le chef du jour? The school year is wrapping up (how are we already at the end of May?!) and I don't know about you, but at the end of each school year I like to take a kind of inventory of what worked well for me and what I would like to change. One thing that I changed after my very first year teaching (and that I have stuck with ever since!) was how I do classroom jobs. The first year that I taught, I hadn't quite caught on to keeping things as simple as possible. I had an elaborate classroom job chart, and struggled to keep up with remembering to change the jobs out each week, and reminding students to do their jobs. I also had an "Étoile de la semaine" - basically, one student was the star of the week, and could bring in show and tell one day, a story to read another day, etc. etc. It was a lot to manage. And for what?? There aren't really any outcomes about doling out classroom jobs. Assuming their responsibilities, yes... but I can easily evaluate that during about a million other moments each day. Now that I have accepted that fact that I am the kind of teacher who can barely remember to change the daily schedule, let alone classroom jobs, I am really happy with my post-first-year decision to keep things as simple as possible and go with an EASY, prep-free alternative. Now, in my class, we have a chef du jour - which is code for super chill for the teacher, but SUPER exciting for the students. If you are also the kind of person who struggles with keeping your classroom chore chart up to date and remembering to send notices to the correct parents when it's their child's turn to be Étoile de la semaine, read on for my recommendation! First of all, you may be wondering what is a chef du jour? Basically, a chef du jour is a single student who is your personal assistant for the day. In exchange for their labour ;), they get to do a show and tell in the morning. My chef du jour is in charge of passing out papers, taking things places (the library box, notes to the office, cafeteria money, etc. ), being first in line (this saves SO. MANY. ARGUMENTS and SO. MUCH. PUSHING! ), and helping me model/demonstrate games and procedures. They also are responsible for turning on and off the lights, fetching me scissors and glue when I forget to bring them to the carpet, and anything else I may need. And they love it! They love helping all day. They feel super important and like I wouldn't be able to survive without them. As I said before, they also do a show and tell (montre et raconte) in the morning. My show and tell is suuuuuper informal. I don't send anything home to practice or ask parents to help them prepare a big presentation. You can totally do that, though, if you want! 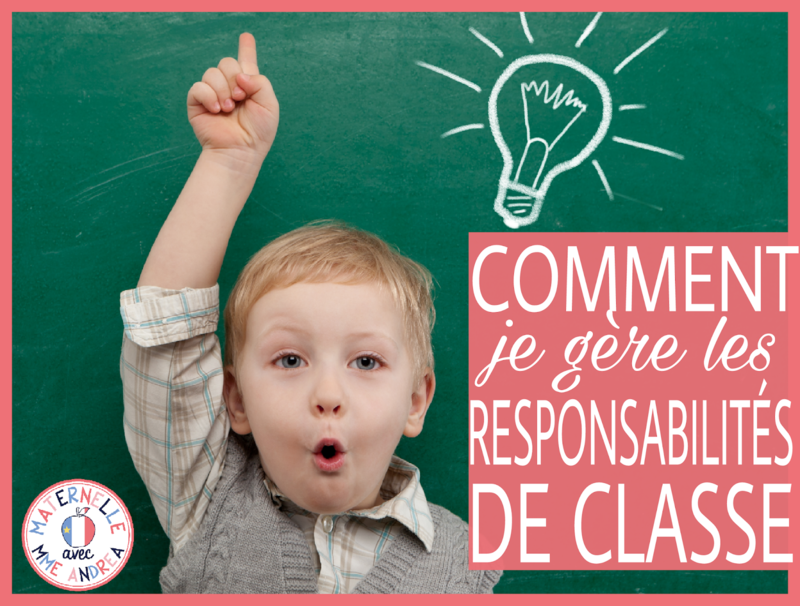 Home projects in maternelle just aren't really a big thing in my school, and not everyone has the support at home to make a formal presentation happen. I do evaluate eye contact and volume as they present, as well as their ability to spontaneously respond to questions and comments in French, but that's it! When they do their show & tell, they explain what they brought, and I ask them why it is special to them. Then, they can choose two friends who have questions or comments. My favourite, favourite, FAVOURITE thing about chef du jour is that ONLY the chef du jour can bring a toy. Nobody else! It seems to make sense to kindergarten logic that it is a special thing for the chef, and they get really excited to choose a toy to bring when it's their turn. Now, you may be wondering what our chef du jour routine looks like. It's nothing fancy! Over the summer, I write all my students' names on yellow stars. I bought one pack of star cutouts from Staples (I think... or maybe Scholar's Choice?) a few years ago. I laminated them while they were still blank, and I write their names on them with Sharpie every year when I get my class list. At the end of each school year, I "erase" the Sharpie with hair spray! You can also write over their names with white board marker and erase - that takes the Sharpie off, too. You could also just print some star clip art (there is a ton on TPT!) on card stock and laminate, if you can't find the star cutouts anymore. I hang the stars up with thumbtacks along the side and bottom of one of my bulletin boards. I do my turns alphabetically by first name. At the end of each month, I send home a calendar to parents with my students' names written in each box when they are the chef. I don't send home any other reminders - if they forget, they can just wait until their next turn. If they are sick or we have a snow day, I do allow them to share turns with the person the next day. 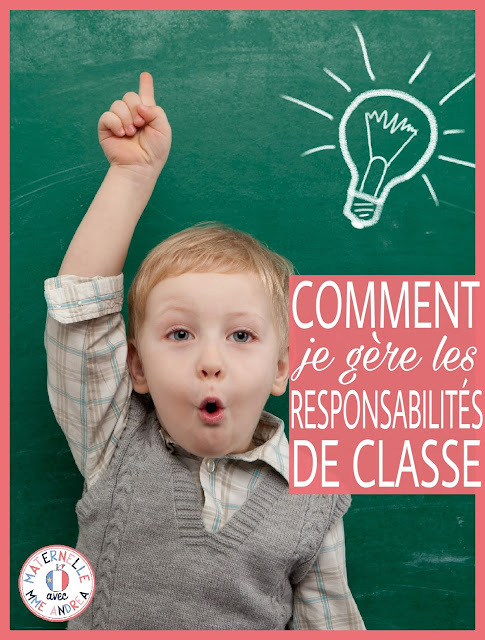 I use these editable calendars from Mme Emilie on TPT. It's super easy to just type my students' names in each box. And that about sums it up! If you give it a try, let me know in the comments. Hopefully it will help make your life a little easier - we all know that we don't need more to manage and stress about in our lives!